If you operate a solo practice or a small firm, that means you have to manage your own affairs. That includes payroll, client communications, templates, and all that busy administrative stuff you'd rather not think about. How do you handle it all? Aside from passing off tasks to a virtual assistant, here are a few organization basics to help you keep your sanity. Practically everyone is using Google Calendar or calendaring on Outlook. But one suggestion you should keep in mind is adding more to your calendars. This means not simply calendaring deadlines for motions, appearances, hearings and meetings; but also putting in additional deadlines for preparing for those events. For most of us, if you think something is going to take ten minutes, it usually takes twenty minutes. That's because getting into an efficient stride takes time. If you think a particular preparation task is going to take an hour, block out two. If you're one of those people who knows exactly how long a task will take, then you are enviable indeed. But if you're a regular human being, you should take steps to give yourself more time. This one is big. Everything technology based is encapsulated in your phone. Your device likely syncs with your computer. Ironically, the very technology we've come to rely on simplify tasks has actually succeeded in making our lives more complicated. Now we need technology to save us from the technology of the previous generation. There's tech to help consolidate other tech, too. If you're trying to market yourself on the web, we at FindLaw like social media dashboards, for instance. The fewer programs you have to deal with, the better. Centralized law firm programs like Firm Central are excellent for saving time (disclaimer: Firm Central is a solution by Thomson Reuters, FindLaw's parent company). Have you ever been in a situation where you've been stuck trying to get one program to communicate with another? How long did it take to fix that? Thirty minutes? An hour? There are solutions available to solve this issue. Everybody's different and if you're able to handle all the little necessities that eat into your day, then you truly are doing something right. 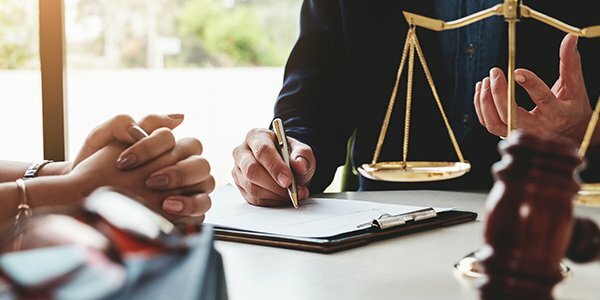 Most attorneys can barely manage to handle their client's overall issues, let alone the administrative and office tasks. But until you've made it so big that you can go out and hire real assistance, you should employ a combination of self-discipline, best practices and technology to help you help yourself. Practicing as a solo is possible and rewarding -- but only if you manage to keep your sanity when those rewards really start to materialize.